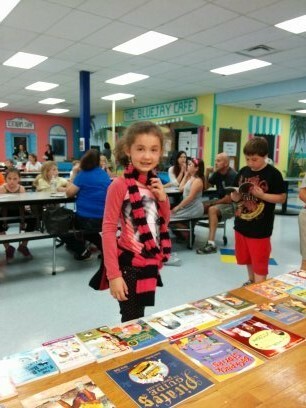 Southport Middle School Presents Beauty and the Beast Jr.
Weatherbee Elementary has just completed their book fair. 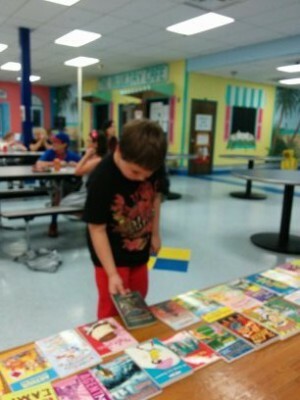 The name of every student who made a purchase, was put into a jar to draw for a series of free books. The winners were: Dominick Baily, Ronald Cantarero, and Jyssel Nunez. 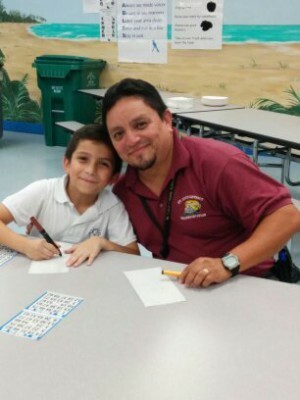 Elijah Bailey from Weatherbee’s VPK recently attended the Learning Lunch with his teacher Norma Miller and had a chance to speak with Ms. Yost! Student Council at Savanna Ridge Collects Food for Families! Student Council members at Savanna Ridge Elementary School collected food for families in need at the holidays. 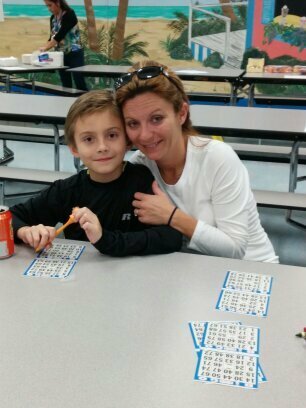 Morningside Elementary PBIS team hosted their very first Bingo for books to reward students with books and to inform parents about our behavior procedures for the classroom, hallway, cafeteria and playground. Parents, grandparents and friends joined their children for an evening of fun, food, and at least two books per student. Richard and Sherry Kolleda presented a check of $500.00 from the Spherion Staffing Community Give Back Program to the St. Lucie County Education Foundation to provide scholarships and support to teachers. Pictured are, Dr. Kevin Perry, Carissa Zerga, Superintendent Genelle Yost, Board Chair Dr. Donna Mills, Richard Kolleda, Sherry Kolleda, and Vanessa Tillman. The Education Foundation Board presented a plaque to Rich and Sherry Kolleda, owners of Spherion, for their dedication and continued support of the St. Lucie County Education Foundation on December 9, 2014. Pictured are, Board Chair Dr. Donna Mills, Education Foundation President Carissa Zerga, Rich and Sherry Kolleda, and Superintendent Genelle Yost. At the Board Meeting on December 9, 2014, Dr. Donna Mills, current Board Chair, presented Mrs. Debbie Hawley with two pictures as a “thank you” for her service as the Board Chair for the past two consecutive years. Pictured are, Debbie Hawley, and Board Chair Donna Mills.